Sunflame Electric Chimney Customer care number – The Sunflame Electric Chimney Customer care number are mentioned below for the people to query about any issues that they are facing with regard to Sunflame cooking range. Below is the list of service centers of sunflame electric chimney. Customers can avail services through these service centers. Electric Chimney is offered with 2 years of warranty. For more information on chimneys Warranty, Please visit official website of the company. Sunflame is one of the leading brands in India that manufactures wide range of home appliances that are unmatched in styling and performance. It is the most trusted and the most chosen brand by Indians that manufactures good quality products. The company is committed to offer the innovative products with a strong focus on the zero-defect quality. 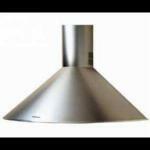 Sunflame electric chimneys are available in straight chain and in designer models. The models in straight line chimneys are Aveo DX, Aveo DX BK, Slim, Slim BK and Royal Auto Clean. The models in Designer chimneys are Focus, Ola, Solaris, Solaris GL, Lancer, Iropa, Tulips, Iris BK, Iris, Accord, Innova, Tamaya, Wave, Altis, Fusion, Venza BK, Venza Civic, Croma and Zen. As they are available in number of models, customers can choose the specific model of their choice that perfectly fits the interior of kitchen. For more information on specifications and features of sunflame chimneys, prices and on latest updates please visit the offficial website of sunflame. The link to the website is provided above. The Costomer care team 18603309999 seems just time passing with companies norms. I have file a complaint with number gha179162599 on 16-09-2017. Technician visited, opened the assembly and left in opened conditions , till date further no action is taken. Several time I called 18603309999, they alway asked the problem, kept on hold without any solution. Every time I called, again and again explanation with same topic is really exposing the careless staff. The last things for me now seems to take effective help from consumer forums. I bought a Sunflame chimney 2 months back from vasanth & Co, chennai. To deliver the product on 23rd May 2017 after lot of complaints [delay delivery]. And while i bought the product they said the installation is free. and today [24th May 2017] sunflame people come to my home they ask for rs.1450 [350 installation and 400 for hole and 700 for material cost in the bill also they are not mention about the installation cost or material cost. [but in my home it is back to back connection only]. So i called Vasanth&co and asked the details about their false commitment. But Sunflame people call me and they are talking with me in supporting Vasanth & Co. I dont know how to handle. For the same product on another store they provide free installation. Now the amount 15500 is waste and stilling idel in my home. I dont know why sunflame not take acting against such dealers. and the sunflame people are supporting them that is the sad part. On 18th Apr-2016 my builder installed sunflame Chimnney at my moduler kitchen. The day it was installed its fan run properly but their smoke sucksion couldn’t work properlly in result all kitchen smoke spread out in my all rooms. Pl. help to resolve this problem asap. Although I try to make complain on your toll free no but there is no service centre of your Co. at U.P. I need your customer care help on priority basis other wise i have to move this case to consumer foram. It for your kind information that one of the motor of fan my chimney is not working.I purchased the product from your exhibition in pragati maidan. pl. help me how I will get this fan motor so that I may be able to use this chimney. Thanking you and hoping for early responce. It for your kind information that one of the motor of fan my chimney is not working. The model is PALIO 60 BK and I purchased the product from your Panchkula dealer. pl. help me how I will get this fan motor so that I may be able to use this chimney. It is a matter of deep regret while I am writing you a complaint of your product. I have purchased the above said model of cooker hoods. The baffle filer of your product is able to separate the oil from flue gases but it is not able to retain the oil even for one day. The oil drips out as soon as it is collected and falls down. The falling oil spoils the food that is being cooked. Could you imagine, I am boiling the milk, and all of sudden a drop of oil drops down in it from your product. How will anybody can retain such product. The corners of baffles filter are poorly designed and not able to retain the oil. I have gone to your dealer and examined the filter of other such pieces of the same design. It is basically a design problem. The undersigned is a mechanical engineer and can well understand the issue. I am writing you for information and immediate action failing which I am abide to take legal action against you. Kindly treat the mail as information. Even I am trying the Customer Care No. But till date I am not successful. My Chimney is working past 1 month.Service of Sunfalme is WORST. I want the price pulip 60 BF section 1100 price and further details. Please forward the same.